My friend JP and I were sitting around, just hanging out one day. He was telling me about how he thinks it would be a crime deterrant if prisoners were forced to dress in clown costumes. Could you imagine it? Gangbangers and thugs, thieves and pedophiles, all subjected to wearing floppy shoes, bushy wigs and bright polka dotted jumpsuits. Perhaps some of you believe this to be cruel and unusual punishment. I guess you’ve never heard about Joe Arpaio. He’s the Arizona Sheriff who has made pink underwear mandatory uniform, while subjecting them to quote, “patriotic songs.” Sherrif Requires Jailed Immigrants to Listen to ‘Patriotic Music,’ Wear Pink Underwear So which cliche shall we use? Has the die been cast? Maybe the genie’s out of the bottle. Whatever trite blurb you want to attach, precedent is set. So let’s push the idea of patriotic songs a little bit. Why? Because that’s exactly what JP and I started doing. It just so happens that I’ve got an incredibly bad collection of mp3’s, everything from Shaq rapping (How to Rob the NBA League is a gem) to Whitney Houston to Wang Chung to Slayer to Sublime to Immortal Technique to Madonna to Nas, with everything in between. Wang Chung Wednesdays just sounded right. Picture the first sound an inmate hearing as the melodic tunes of Wang Chung, and the last sound an inmate hearing as the melodic tunes of Wang Chung. Every day would be dedicated to one song. Monster Mash Mondays, Linger Tuesdays, Wang Chung Wednesdays…..you get the idea. I’d go on, but I’m in the process of crafting a proposal for The Geo Group, or perhaps CCA. Any privatization firm willing to listen, really. 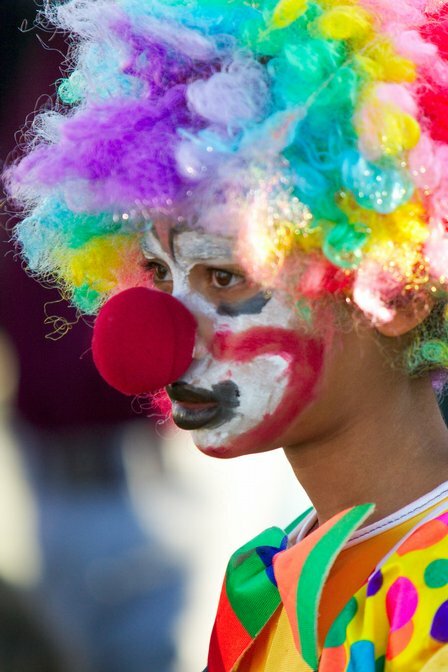 Can you dispute the notion that having to listen to The Cranberries or 4 Non Blondes, wearing clown gear would deter recitivism? I’d imagine a lot of criminals would be deterred from returning to prison. Cruel and unusual? Only if you think humiliating is cruel and unusual. That’s where the deterrent comes from. So if you think straightening people out in unconventional ways is cruel, then give me a suggestion! Until I hear something better, I think this would be the most effective prison reform. Time to craft a methodology to write the study on the possibilities…….